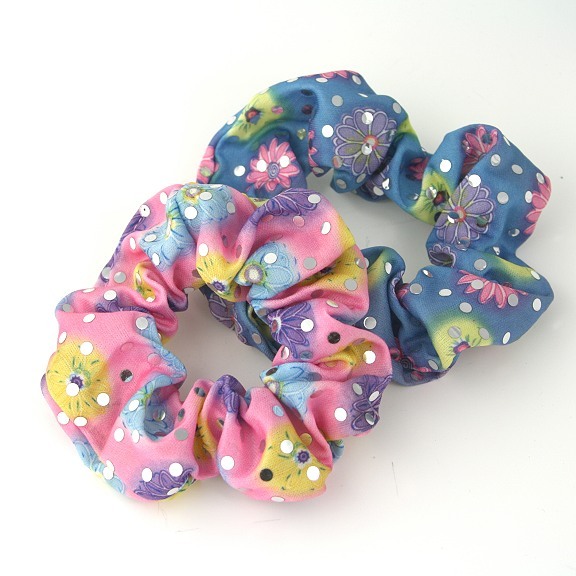 A pack of two stretchable scrunchies, one pink and one blue with a pretty, floral pattern on each. Each elastic scrunchie has a flower design in contrasting colours with tiny light reflective spots giving the hair accessory a slightly sparkly appearance. Pretty adornment for any ponytail.